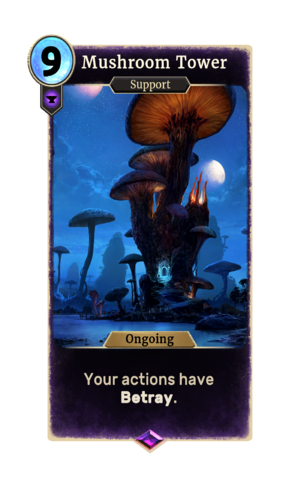 Mushroom Tower is an epic Endurance support card. It is part of the Houses of Morrowind expansion. This page was last modified on 24 September 2018, at 23:03.